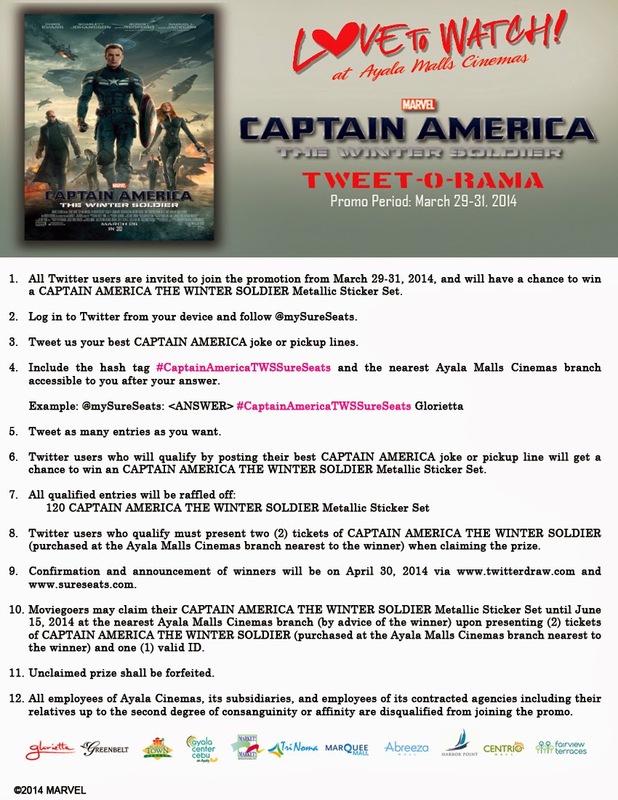 ruthdelacruz | Travel and Lifestyle Blog : [Contests Alert] Win Captain America Goodies! 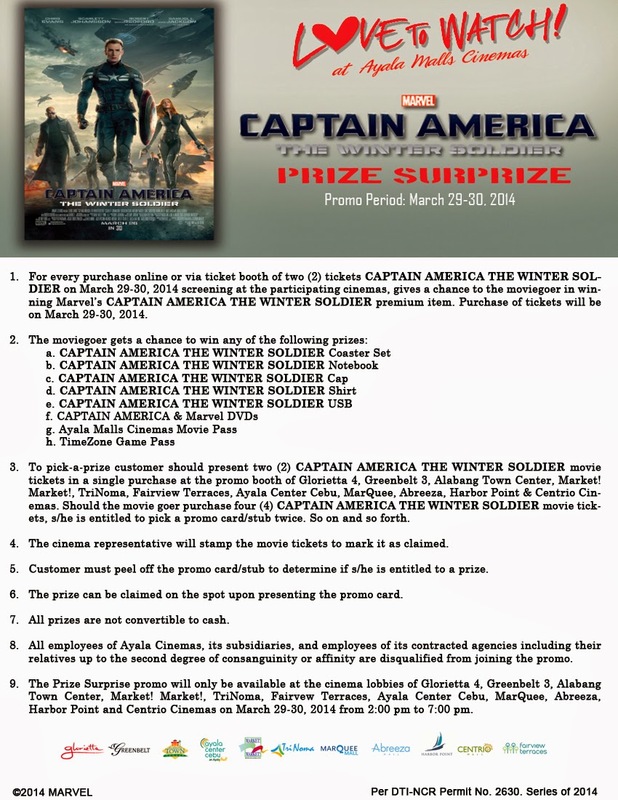 [Contests Alert] Win Captain America Goodies! Captain America is coming! Have you heard? The screenings are scheduled this week and I am telling you, it is always fun to attend movie screenings. Aside from seeing the movie first before it opens to the theaters, you get to see cosplayers, get freebies and win instant prizes. 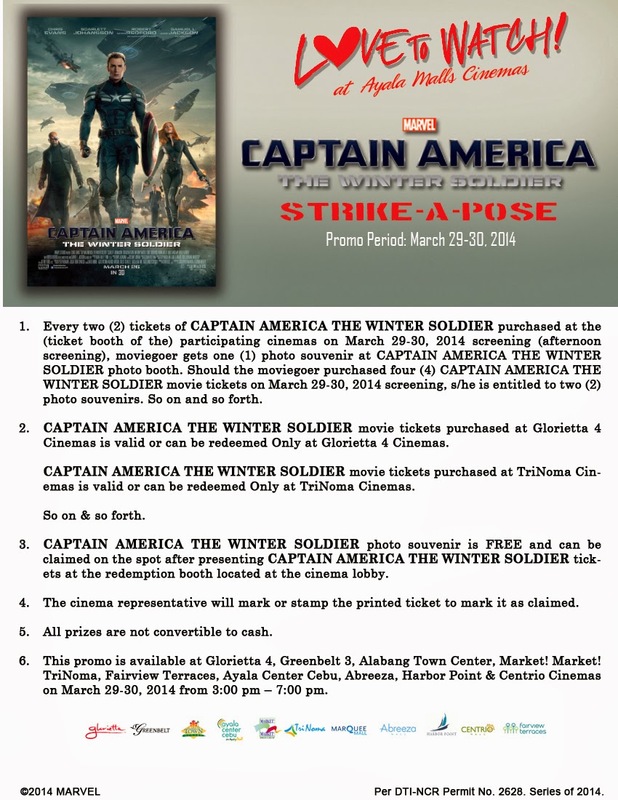 Speaking of movie screenings and prizes, you may want to join the Captain America contests below. 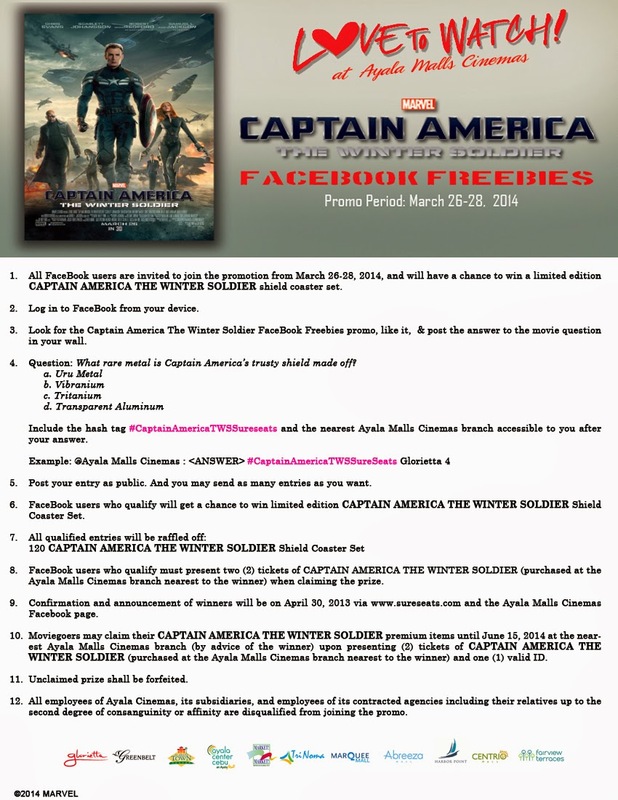 Get a chance to win Captain America headphones, coaster set, shirts, usb, DVDs and more. Too bad there is no chance to win a date with Captain America. 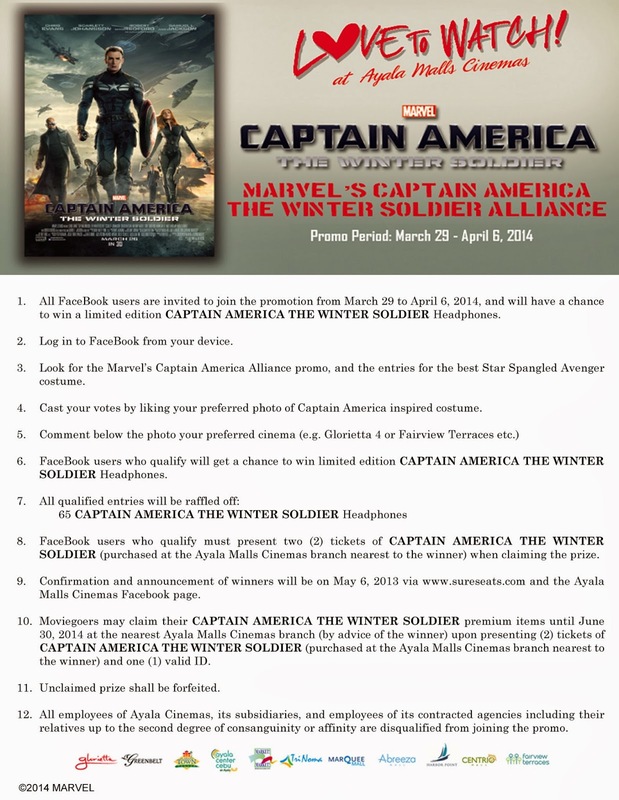 Click Read More to see the other 4 contests..
© ruthdelacruz | Travel and Lifestyle Blog : [Contests Alert] Win Captain America Goodies!